Sunnee O’Rork grew up on Cape Cod and as a girl experienced the power of art through the creativity of her family. “The sense of self-worth, joy and sharing of my creations, especially with my dad, has been one of my inner treasures that has sustained me throughout my life.” Before 2005 she had a 30-year career in the arts primarily working in traditional museums. 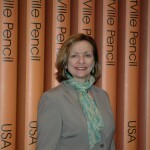 In 2005, she became executive director of AMY—a hybrid of the best of an art museum and the best of a children’s museum. 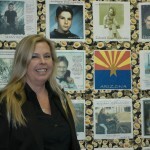 Her dream, and the focus of her sabbatical, was to have this unique museum adopt a larger scope providing more services and quality programs to families. AMY took advantage of additional staff development funds by sending its leadership team to best practice sites, a national conference, and hiring BoardSource to lead its board in a strategic planning retreat. 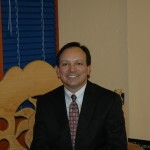 Martin Quintana began his nonprofit career at Chicanos Por La Causa in 1998 after working more than ten years in the corporate world. He left the for-profit arena to use his business and financial skills in the nonprofit world as a servant leader. In the years since joining CPLC, he has become rooted in his community, advising other community development organizations, and serving on nonprofit boards of directors. At the time of his sabbatical, he and the two other senior officers at CPLC began a rotation of jobs as a hands-on leadership development program. Quintana’s goal is to become a nonprofit CEO. The skills for Martin Quintana’s job as chief operating officer are different from the technical and analytical leadership skills he honed as CFO. With his sabbatical, he worked on acquiring leadership, interpersonal, and strategy development skills required for expanding programs. He enrolled in a number of courses: the Executive Program for Nonprofit Leaders at Stanford University; the Strategic Perspective in Nonprofit Management at Harvard University; and Developing the Strategic Leader and Leadership for Organizational Impact at the Center for Creative Leadership. The intent of his sabbatical was to become a stronger leader contributing to Chicanos Por La Causa as a more cohesive and effective service organization. 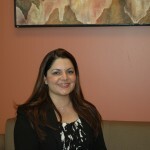 After college, Avein Saaty-Tafoya was a medical student for three years. She was deeply affected by the numbers of uninsured patients and the socioeconomics that forced so many underserved patients to choose between healthcare and other basic needs. She chose to pursue population-based medicine and worked for the Centers for Disease Control and the National Immunization Program. She was a bridge between clinicians and administrators by translating their mutual goals into improving community health. She then worked in the federally qualified community health centers and became CEO of Adelante Healthcare in 2006. Her goal at the time of the fellowship was to create a collaborative healthcare network with the capacity to serve over 100,000 underserved patients. One focus of Ms. Saaty-Tafoya’s sabbatical was visiting healthcare centers across the United States that are innovators in diverse design and practice. For example, she was interested in the use of electronic health records, online patient portals, solar energy, and other evidence based methods that merge service delivery transformation, hospitality, sustainability, and community. She also completed Stanford University’s Executive Leadership Course and attended a national conference. The capstone to her sabbatical was a weeklong meditative retreat at the Esalen Institute in Big Sur, California. Julie Zalimas has worked with children most of her life but it was the success of creating a well-managed learning environment for 32 three-year-olds as a young woman that set her on the path of working with children professionally. She began at EMPACT in 1995 as a behavioral management specialist and at the time of her fellowship she was manager of children’s services. She received the “Karl Dennis Unconditional Care — Champion of Families Award” from the National Federation of Families in 2006. Because of changes to national healthcare, EMPACT anticipated a significant increase in the number of children qualifying for behavioral health services, and the department Julie Zalimas supervised would grow substantially. Her goal was to implement a strategy agency-wide to serve more families and children. Her sabbatical included: the Wharton Leadership Journey at the Wharton Financial College of the University of Pennsylvania; the Managing Teams for Innovation and Success at the Stanford Graduate School of Business; the Getting Below the Surface program at the University of Virginia Darden School of Business; and the Breakthrough to Prime seminar at the Adizes Institute in California.